TRACKSMITH HAS OFFICIALLY GONE CO-ED AND THANK GOODNESS BECAUSE IT'S EXACTLY WHAT THE RUNNING COMMUNITY WAS MISSING. 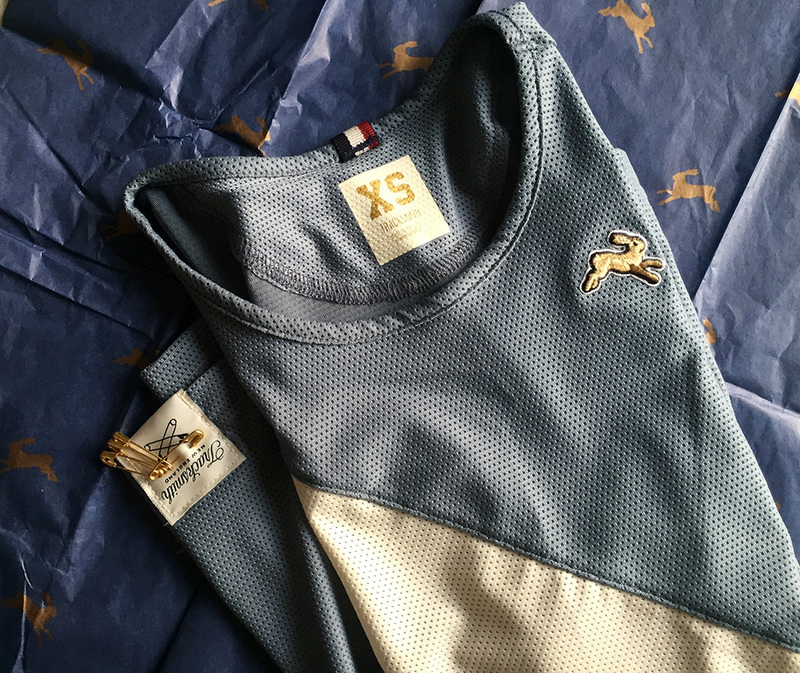 IF TAILORING WAS A SPORT, IT'D BE TRACKSMITH'S VAN CORTLANDT SINGLET. TAILORING REQUIRES ATTENTION TO DETAIL AND KNOWLEDGE OF FIT. THE WOMEN'S COLLECTION EMBODIES JUST THAT. THE SINGLET'S HIGH NECK AND LONG CUT MAKE FOR A REFINED RUNNING TANK THAT'S MEANT FOR SPEED. DID I MENTION THE STORY BEHIND THE RAD DESIGN? IT'S AN ODE TO THE CEREMONIAL SASHING AT CORNELL DATING BACK TO THE LATE 1800'S. IF YOU SCORED IN THE LEAGUE CHAMPIONSHIP, YOU EARNED A STRIPE. IT'S SOFT, LIGHTWEIGHT AND BREATHABLE. I RECENTLY SCOOPED ONE UP FOR AN UPCOMING RACE AND CANNOT WAIT TO WEAR IT. IT COMES RACE READY WITH SAFETY PINS ATTACHED TO THE TRACKSMITH TAG AT THE HEM AND AN ALREADY BROKEN IN FEEL. VISIT TRACKSMITH TO VIEW THE FULL WOMEN'S COLLECTION WHICH INCLUDES A VARIETY OF CLASSIC TANKS AND SHORTS. WHILE YOU'RE AT IT, DO YOURSELF A FAVOR AND PICK UP A COPY OF METER MAGAZINE. THIS FIRST ISSUE IS QUITE AN INTRODUCTION TO THE RUNNING COMMUNITY WITH STORIES FEATURING THE GREAT MEB KEFLEZIGHI, AN INSIDE LOOK AT JOHNNY KELLEY'S 1957 TRAINING DIARY AND SPOTLIGHTS ON RUNNING CREWS AROUND THE WORLD.